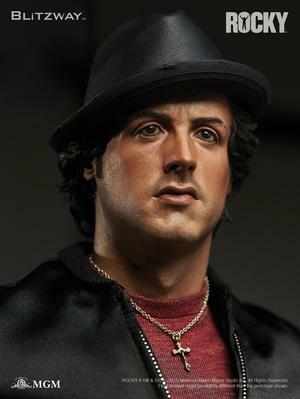 The 'Rocky' movies catapulted Sylvester Stallone into worldwide fame, starting with the release of the first film in 1976. 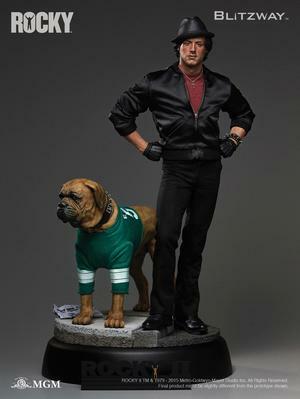 Blitzway, for its second Superb Scale Statue (1/4 scale) project, decided to recreate Rocky from the second smashing hit of the series, 'Rocky II,' written, directed and starred by Sylvester Stallone and released in 1979. Sculptor K.A.KIM created an intricately carved face that imbues Rocky's internal conflicts, his love for family, and the anguish felt ahead of a threatening challenge, and captured the image of raw strength and tenacity in the body and pose. 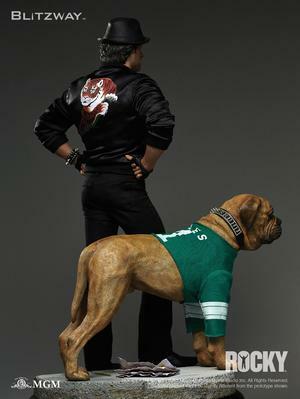 Butkus, Stallone's pet dog in real life and the 'Rocky' series, takes his place next to Rocky as the ever-faithful partner and family member watching over the boxer. The diorama base recreates the streets from the movie with realistic details and vibrant colors, and the nameplate artistically captures the symbolic training scene from the film. 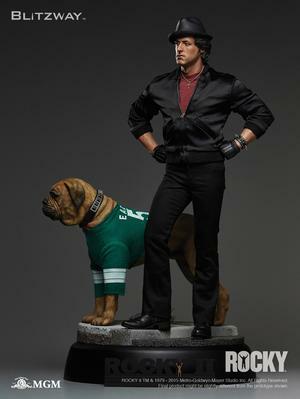 Tailored clothing and accessories are fit to the 1/4 scale of the statue, and specifically designed to emphasize Rocky's chiseled, muscular body. 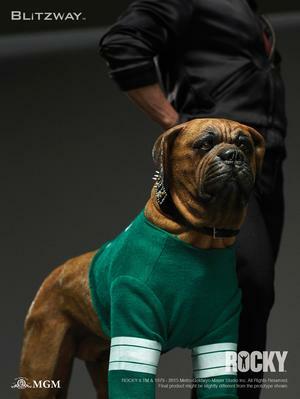 With Rocky by your side, be inspired by his strong determination and will power as you push forward on achieving your goals in life.